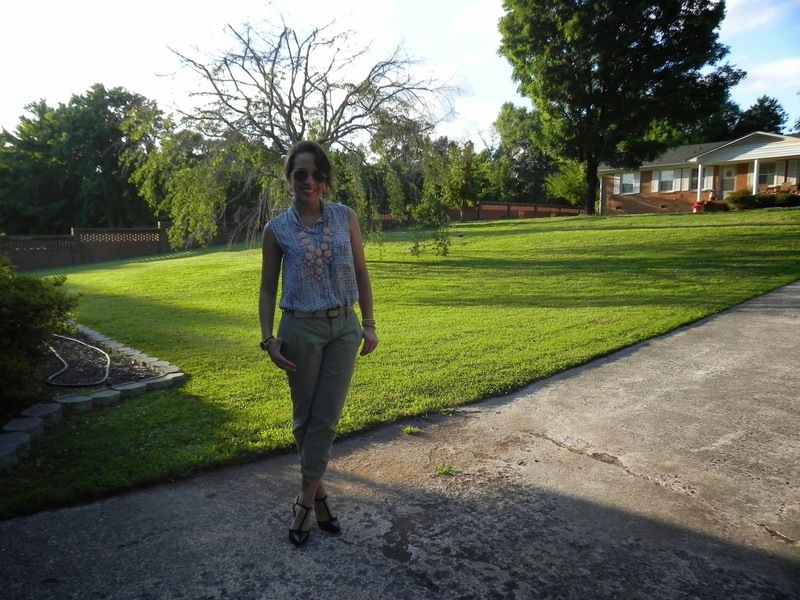 Hi my name is Kiomy from http://www.cityhipinacountryzip.blogspot.com I am so happy to be doing a guest post for one of my favorite bloggers Erika from Lola Blue Style. 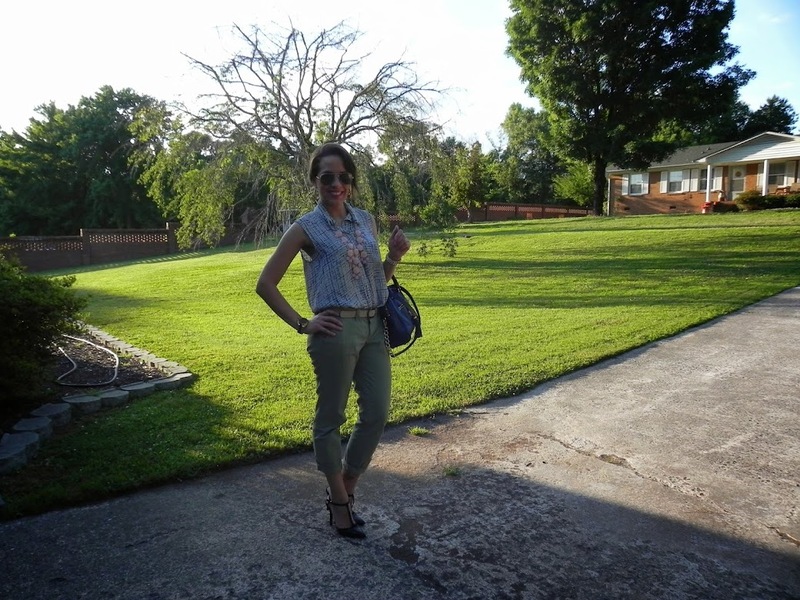 Today we are talking about a simple chic, working mom on the go outfit. 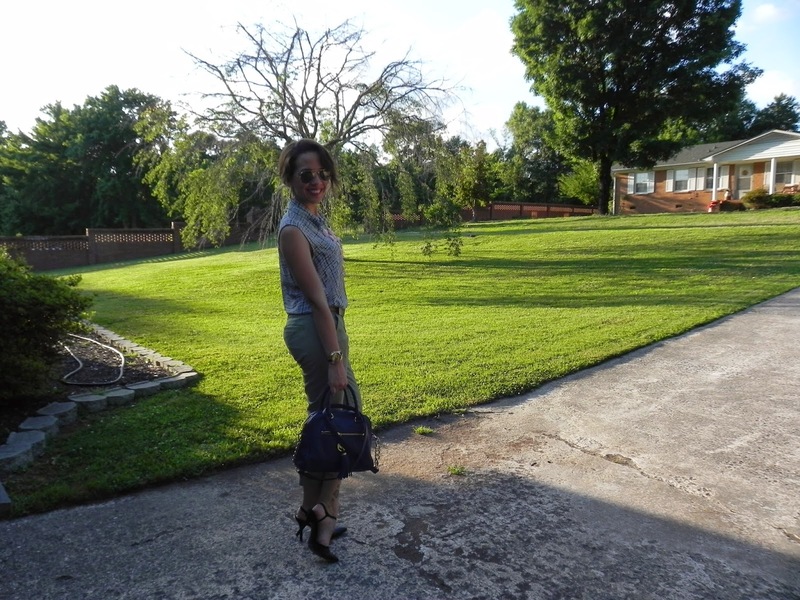 An easy mom on the go outfit is a no brainer for me. I need something that I can wear to work and that I can quickly change into flats to take the kids to the park or if I need to run to the supermarket, and let’s be honest I can’t sit here and try to tell you that I will run around and chase 2 toddler boys around in heels. So I need and outfit that will be a 2 for 1. 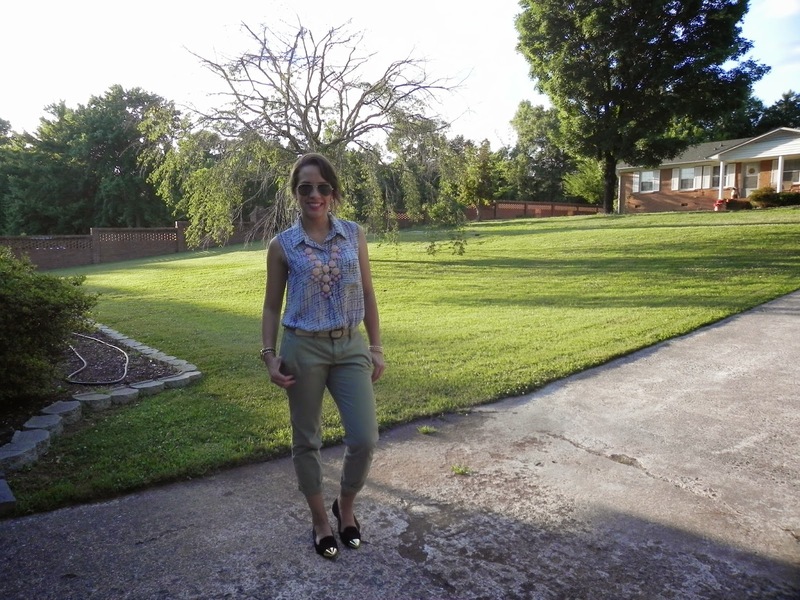 In this outfit I am wearing a loose top with a pair of boyfriend chinos, I added the t-strap heels for work (and you will see flats in pictures below for the mommy role after work) I love these boy chino from Old Navy they are so comfy and you can style them so many different ways, you will see more of these in the posts to come. For instant mommy chic add a pair of cute flats and you are ready to go.